Reattach the tabletop. I found that I'd accidentally bent a few of the metal attachments during the taping. If this happens to you, don't worry, they bend right back. That's it, you're done! Super simple, it just take a little time and patience. 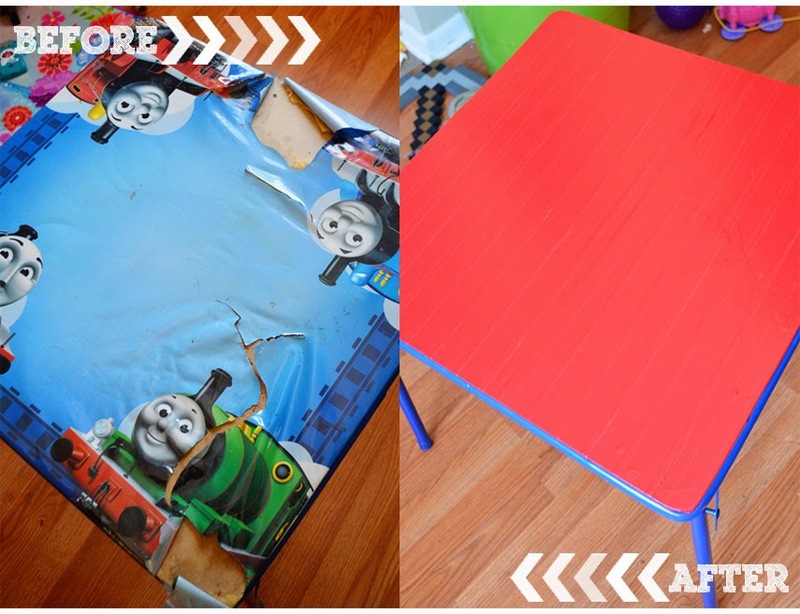 This super simple solution took our tattered old table and gave it a new life to last my son for a few more years...for just the cost of one roll of duct tape! Do you have a similar table that could use new life? 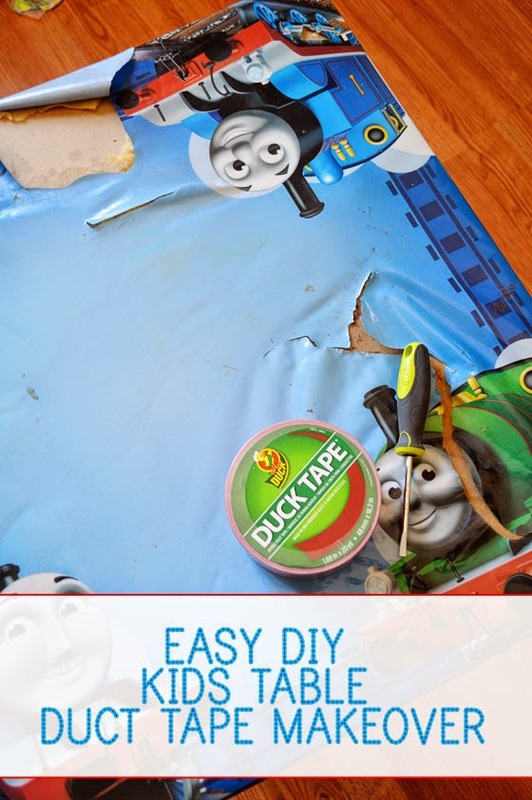 What other unique ways have you found to use colored/patterned duct tape around your home? 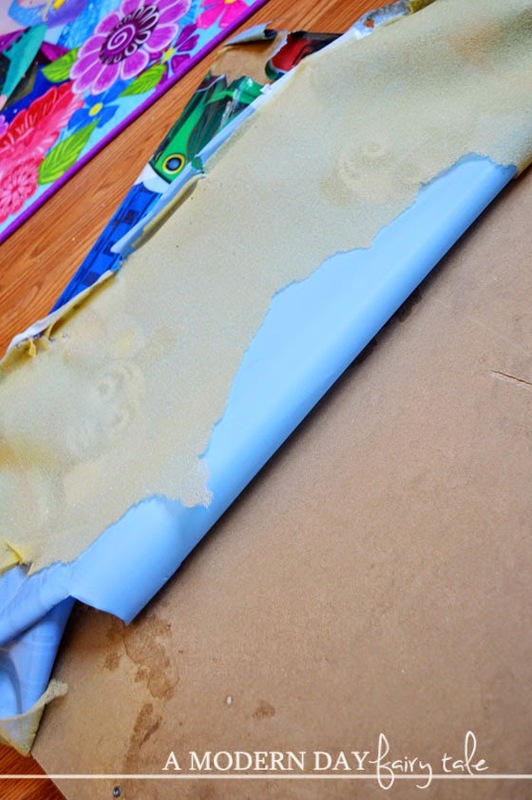 How awesome is duct tape for projects like this?! I love how many different colors and patterns it comes in now too. 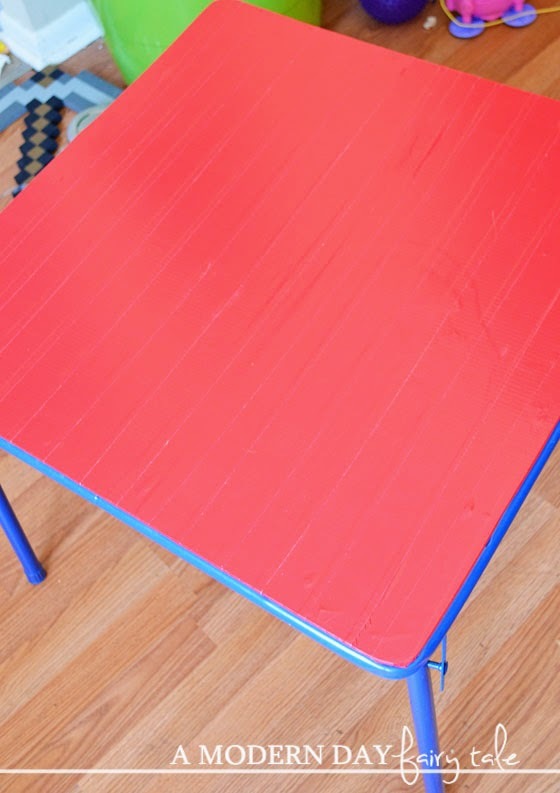 I bought an old desk and covered it with duct tape and nobody can believe it. lol I never thought of taking the whole top off though. Great idea! that is soo cool out of all the things my kids break if I could fix them and make them something BETTER that's sooo awesome!